This summer, we sent a questionnaire to the teams of the four New Democratic Party candidates in the federal leadership race. Our goal is to inform Canadians of the candidates’ positions on national security and human rights so they can make an informed decision if they vote in the NDP leadership race. To vote in the first round you must cast your vote online before 2 PM on October 1st. These answers will also be helpful for holding the new NDP leader accountable. Summary: We based our grading on how close the candidates’ positions were to ICLMG’s own positions. 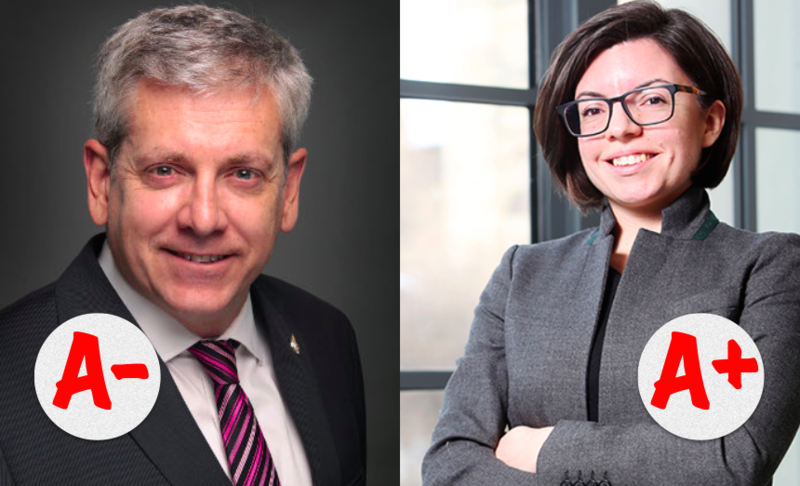 Charlie Angus’ and Niki Ashton’s answers were fairly similar. The main differences between their positions are to be found in their comments on the Terrorist Entities Listing (under the section on Bill C-59), Deradicalization, their overall perception of “war on terror” and their vision guiding the fight against terrorism. Place your cursor on the X and wait for more comments to appear (if there are any). What is your overall perception of the “war on terror”? The “war on terror” has been a moral, political, and humanitarian disaster. By supporting and participating in aggressive military endeavors, led by the US and NATO, we have contributed only to more death and devastation in the Middle East and elsewhere, without making any progress towards peace and security. It is time to radically reorient our foreign policy to be a force for peace in the world, in solidarity with the oppressed, and not an accessory of empire. What is your general vision that would guide the fight against terrorism? We have to recognize that military interventions have made the problem of terrorism worse, not better. For too long we have relied on the use of imperial power and violence to intervene in the affairs of countries overseas, causing significant harm to civilians and destroying the infrastructure of civil society. This has only increased the resentment and anger that fuels ideologies and organizations engaged in terroristic violence. We must move away from intervention and militarism, and focus our foreign policy on actions that can increase quality of life and goodwill: humanitarian assistance, support for refugees, and solidarity with oppressed groups. There are fundamental problems with Canada’s role in this open-ended conflict. Keeping citizens safe is the first job of any government, but we need an approach based on judicial oversight rather than executive discretion. Instead of cracking down on individual civil liberties and taking a broad-based, evidence-light approach to widening the scope of the intelligence and security agencies’ mandates, we needs to take a more holistic approach. Canada should build bridges to different communities, take a proactive, independent policy in regions of conflict, limit radicalization by giving young people opportunities and hope for the future, and take a more proactive approach in defusing the rising phenomenon of right-wing paramilitary/militia organizations. We also face major challenges overall with cyber espionage, and are behind in protecting the data of Canadians and the government. This entry was posted in News from ICLMG on 26 September 2017 by ICLMG CSILC.